ASSOCIATED PRESS Kevin Givens emerged at defensive tackle last season for Penn State. STATE COLLEGE — Kevin Givens was asked a simple question about how he thought he played last season, and it became a funny moment when he turned the tables on the reporter. “Well, what did you think?” Givens asked his interviewer during Penn State’s media day Saturday. The Altoona Area High School product wasn’t being a smart aleck about it or anything, nor was he trying to dodge the question. He just honestly didn’t know how to answer because he’s a rare breed of humble young athlete who simply doesn’t like talking about himself. Far better than just “normal,” Givens turned a lot of heads during a productive redshirt freshman season. The defensive tackle played in all 14 games, starting six, recorded seven tackles for loss and 4 ½ sacks, plus he recovered two fumbles and broke up one pass. Givens definitely did his hometown proud in his first season on the field with the Nittany Lions. There haven’t been many Blair County products who have made a significant impact at Penn State over the past 30 years. That’s changing now, though, thanks in large part to Givens, and also potentially with two more local products who are members of the Lions. Hollidaysburg Area High School’s Zach Simpson ap­peared in 12 games on special teams a year ago as a redshirt freshman and could get opportunities to play on the offensive line this year, either at center or guard. A third Blair County player on the PSU squad is Central’s Alex Hoenstine, a preferred walk-on freshman receiver who always dreamed of becoming a Nittany Lion. “I think it says a lot,” Simp­son said of the Blair County connection. “People in Pennsyl­vania talk a lot about Pitts­burgh schools and Philly schools having a lot of recruits. I think central PA has a lot of big-time talent. He didn’t play against Simpson when they were in high school, but Givens has been able to spend some time with his fellow Blair County product. “I actually got to know him being up here,” Givens said. ‘He gave me a couple rides back up to school, and we talked. Givens is probably the only one who couldn’t quite analyze his play last season. 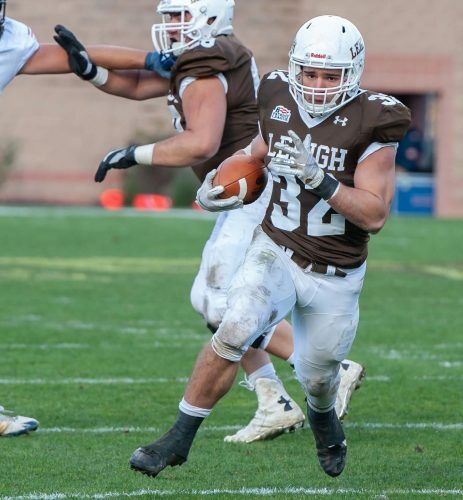 An incredibly strong young man, at times he looked unstoppable exploding into the backfield to disrupt plays. “This camp, I’m just focusing on improving what I messed up on last year and doing whatever I can to not make mistakes on the field,” Givens said. Those ‘mistakes,’ he specified, were about consistency and learning the ins and outs of playing defensive tackle after moving from end. Givens was the talk of the team in the spring of 2016 and showed why last fall. He’s made a lot of strides in the past 12 months, on and off the field. “Just growing up, being more mature, getting my feet wet starting the first couple games up here, just learning how to be a college football player,” he said. And what does it take to be a college football player? Givens weighed 235 pounds when he got to Penn State and is at 285 now, which is where he figures he’ll stay. With more experience, which Givens certainly will get the next three years, there’s no telling how good he can become. As for this year’s goals playing the 3 technique? “I think I could be a fast-twitch guy inside, I could be a guy coming off the bench and make sparks, be a leader to the young guys and somebody to change the game in special moments,” he said. 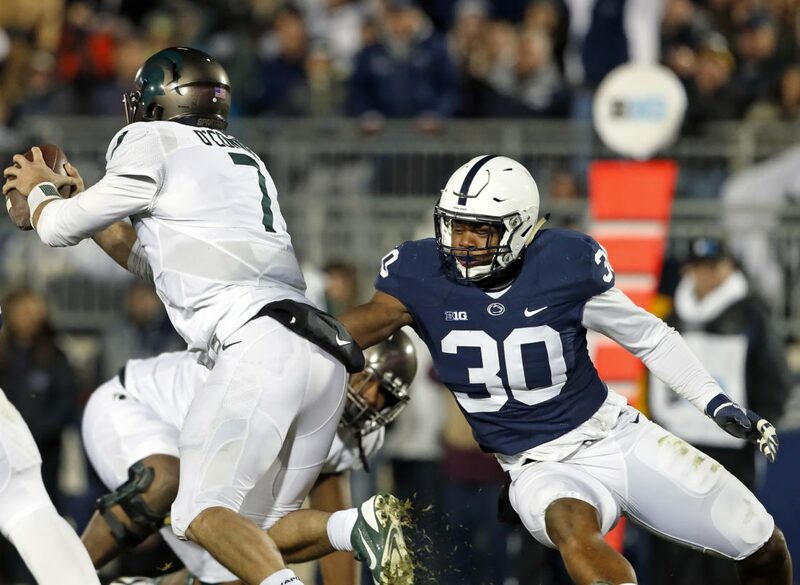 One thing that certainly helps Givens and PSU’s other defensive linemen is how much they rotate, with position coach Sean Spencer frequently making changes to keep everyone fresh. Givens is so strong, and when he’s fresh, he can overpower tired offensive linemen when he’s playing during clutch, late-game situations. It’s well known that Givens initially committed to play at Pitt before switching late to PSU, and that decision has worked out wonderful for both him and the Lions.